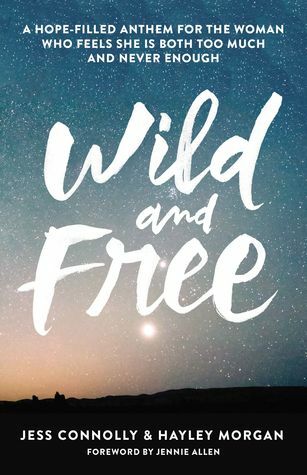 For In Christ Jesus we are set Free and if you have been held captivate for too long, it is my prayer this book would unlock freedom in your life as you discover all that God has for you. May you find this book as a tool to help you discover the true living God through these pages and his word. Do you ever get this sense that you're not enough or maybe that you're too much? Do you ever feel that you have to be everything to everyone? Or maybe your talents aren't enough for everything? Isn't that so true? What if that isn't it all. What if you are exactly the way the creator made you, unique, with your own set of talents and not needing to measure up or compare to someone else. Maybe it's time we start as women setting each other free and encouraging one another to use our set of talents and gifts to find freedom in the way that God has called us to be, not like everyone else. What if we were a culture of women who spurred each other on instead of compared and set one another free? What kind of world would we live in? Oh, I can't say enough about this book, other than it is a complete game changer! Go, buy a copy, get your friend a copy and start living wild and free. Thank you to the publisher for providing me a complimentary copy for review purposes for my honest opinion, which I have given. 5/5 stars on this one!